Asturias is possibly the best known of the regions often referred to as "green Spain" and the aim of this website is to introduce you to, and tell you about, this beautiful northern Spanish territory. It is a region with rivers, lush meadows, mountainous peaks and many beaches along its beautiful northern coast. With the Mar Cantabrico (bay of Biscay) to its north, Cantabria to its east, Galicia to its west and Castilla y Leon to its south, Asturias delivers some of the most scenic and spectacular landscapes in Europe. It has an often mountainous, but green terrain and serves up some breathtaking coastal scenery as well as some wonderful towns and cities like Aviles, Oviedo, Cangas de Onis and Covadonga. Within Asturias Guide you will find details and information about the area's most appealing tourist spots, its beaches, historic buildings, weather, towns and cities. 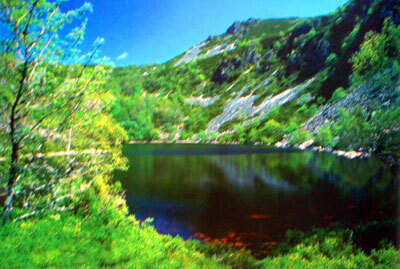 You will also be able to find out how to get to Asturias, where to stay and how to plan your trip or vacation. 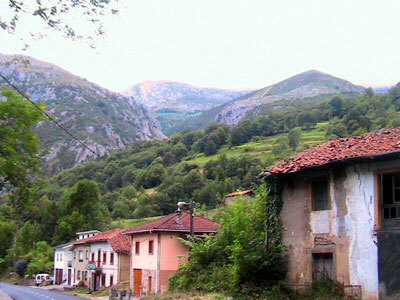 You will find pages dedicated to property for sale in Asturias, rental villas in the region, active sports and the unique cuisine of the Asturias province. Ultimately we aim to provide you with everything you need to know if you are considering, or have already decided to, visit Asturias in northern Spain. In order to make exploring Asturias Guide as easy as possible we have two constant menu areas, one down either side of the page. If you want to explore the Asturian cities like Oviedo, Gijon and Aviles, or one of the smaller towns, then the "Towns and Cities" menu (left) is the one for you. If you are closer to planning your trip and need details about hotels or car rental, look at our "Travel Services" section (right). To find out about the weather, sports or activities in which you can participate, art, beaches or day and night time entertainment, check out the “Tourist Activities” and “Useful Information” areas. Once you have selected a town or area of interest and gone to its main index page, there will be a "box" menu (like the one at the top right of this page) that will give you access to other asturiasguide.com pages about the town or subject that you have selected. In total there are over 120 pages about Asturias plus almost 200 photos, so please take a good look around and get back to us with any feedback that you have, we always want to improve asturiasguide.com. Although very much a part of Spain, Asturias with its northern geographic location and temperate climate serves up something very different to the stereotypical Spanish holiday resort. Commercialism and mass tourism have so far escaped this beautiful part of green Spain and that makes it an ideal destination for the more discerning traveller wanting to experience genuine Spanish culture. With an economy dominated by farming, crop harvesting and fishing, the way of life in Asturias has retained a continuity that most other parts of Spain have now lost. 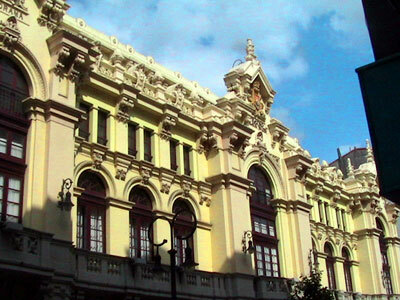 The province has only three main cities (namely Oviedo, Gijon and Aviles) and a high percentage of its population live in rural settings and make their living from the land. Farming and agriculture remain part of the economic backbone of Asturias and this results in its beautiful countryside being a valued and carefully looked after resource. Within Asturias external influences have yet to dilute the pulse of the region, or indeed its people's way of life, and it is for this reason that an increasing number of foreigners are choosing to vacation in this unspoilt region of northern Spain. Asturias also has a very strong niche "adventure sport" connection when it comes to canoeing, hiking, quad biking and mountain climbing. These activities are mainly based around the months of June, July and particularly August when visitor numbers increase dramatically. Would Asturias be your ideal holiday destination? Asturias along with Galicia, the Basque Country and the other northern Spanish principalities are very different from the more popular and tourist frequented areas like Benidorm and Marbella that are found in the south of Spain. Green Spain sees "customs" rather than commercial exploitation at the fore with fiestas, tradition and the afternoon siesta controlling the flow of life. Tourists are of course more than welcome, but Asturias is there for visitors to explore and this means that those who want all inclusive holiday resorts where everyone speaks English will be disappointed. This is a part of the Iberian Peninsula that requires you to invest a bit of effort and enthusiasm into your vacation if you are to get the most out of it. But if you do you will definitely come back for more. 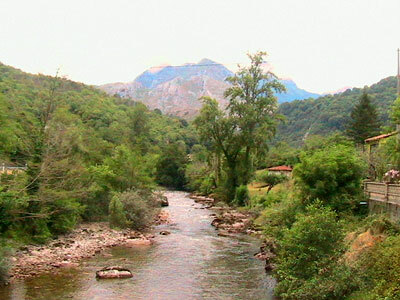 Asturias is an area of immense natural beauty with a population that value courtesy and good manners. It is a part of Spain where you can leave behind the pressures and stresses of modern life and sink back into a forgotten world where everything can wait until tomorrow. In Asturias things get done in their own time and at their own pace and you will forget about schedules, early starts, working late and deadlines. The scenery, with its stunning bays and coves along with snow capped mountains and rolling meadows, will entice you into its unique way of life and once touched by its magic you will never want to leave. Interested in finding out more? Then why not explore Asturia Guide, or save it as a favourite or bookmark for another time.